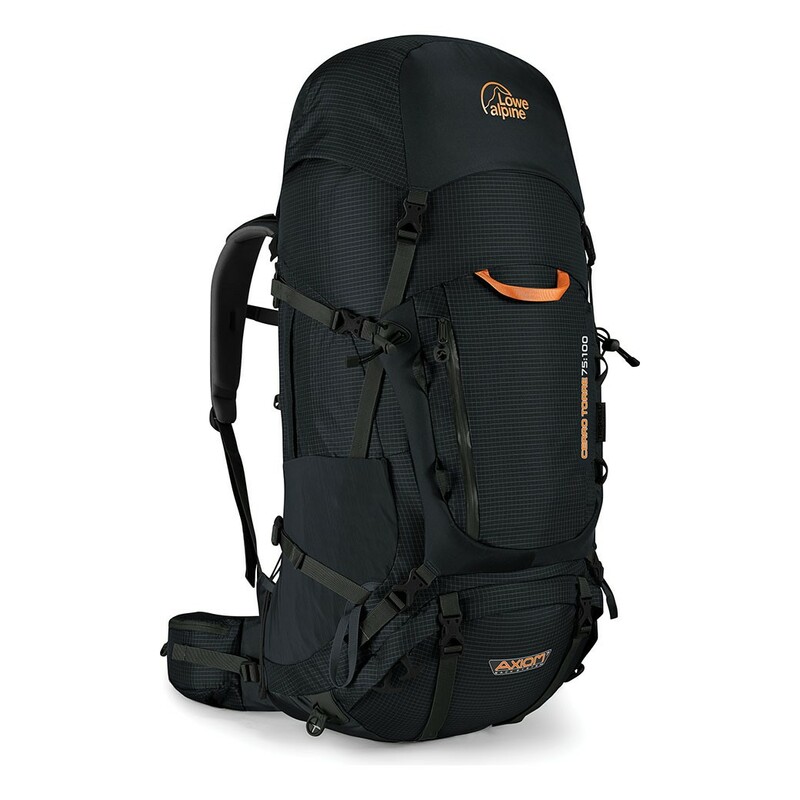 Back Length: 17 - 22"
The Cerro Torre; our legendary large capacity pack has been a constant feature in the range for over 30 years. The latest incarnation features front and lower entry, a tough TriShield coated fabric, and the undisputed king of carrying technology, the Axiom 7 back system. Undertaking a multi-day wilderness trek or long backpacking trip demands planning, organisation and complete faith in the gear you take. That?s why the Cerro Torre delivers on trust. We build it using bomber components, an ultra tough nylon grid fabric and our unique TriShield? TPU coating. A combination that delivers unrivalled abrasion resistance and durability. Our Axiom 7 Technology features a 2 puller adjustment system that allows you to make incremental adjustments to the back-length while the pack is being carried. This ensures a perfect fit and a stable, comfortable carry even when transporting loads up to 25kg. With well thought out features, including; quick-and-easy access to your essentials with front and lower entry points, a removable 6lt hydration pack, hipbelt pockets and our unique pole tip grippers this pack will give you the confidence to traverse the Patagonian skyline.